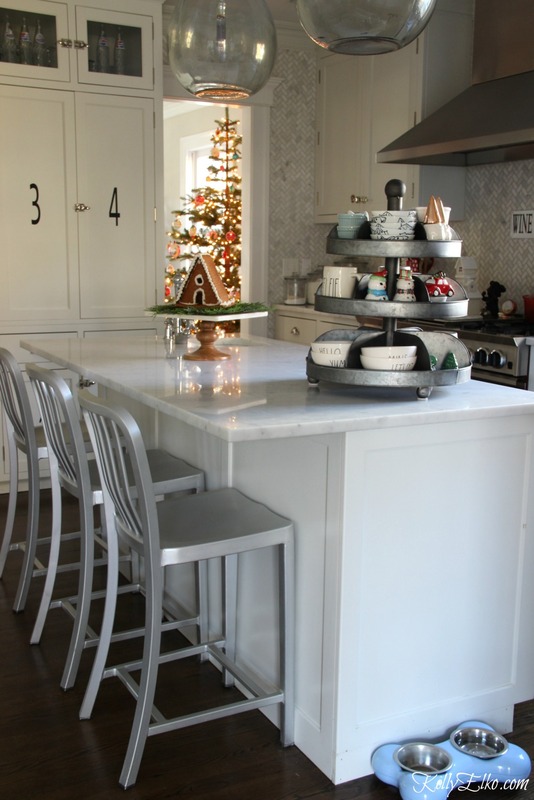 Let’s stay home for Christmas and welcome to my 7th annual Christmas home tour! I’ve kept things much more simple this year and this may very well be my favorite Christmas tour ever. 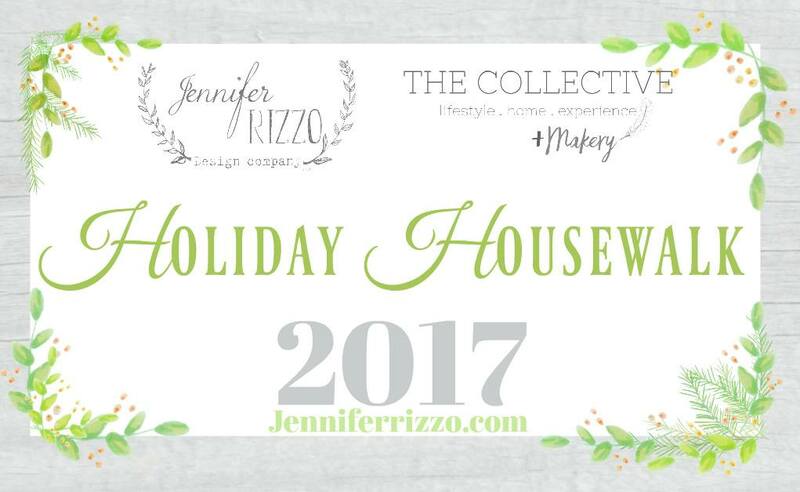 Once again I’m part of Jennifer Rizzo’s Holiday Housewalk which means all week long you can hop from blog to blog to see some amazing homes all decked out in their holiday finery. The tour begins at Jen’s house so don’t miss it. Full source list at the end of this post! 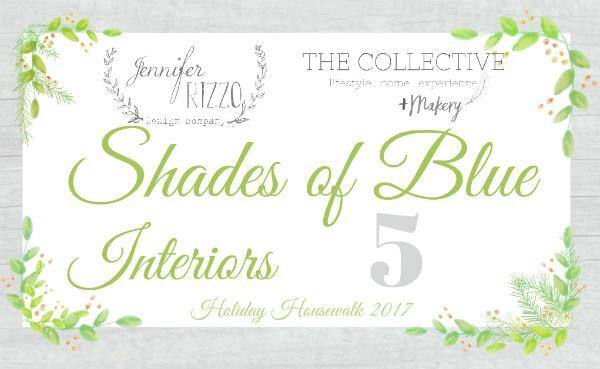 Don’t miss the tour before mine from Shades of Blue Interiors. Enough chit chat, come on in! It’s fun to get creative with a new mantel every year. I’m in love with my Scandinavian inspired mantel that includes a little gnome (it’s a cookie jar!) in a snowy forest. The key to creating the perfect fairy jar are these battery operated copper fairy lights! Hide the battery pack under some snow (salt) and use the remote to turn on and off plus I love the 8 settings so I can have them twinkle, fade, etc. You’ll notice them sprinkled throughout my house (even on the mantel). that is until one of my daughter’s demanded we hang our family ornaments so it looks like those bins will be coming out after all. A furry throw makes the perfect snowy tree skirt. Because it’s all about the pom pom. I layered two of these cute pom pom garlands over regular faux garland. My girls old ice skates they’ve long since outgrown (sob). I found these amazing faux Christmas trees that have room between the branches for showing off my vintage collection of Shiny Brites. 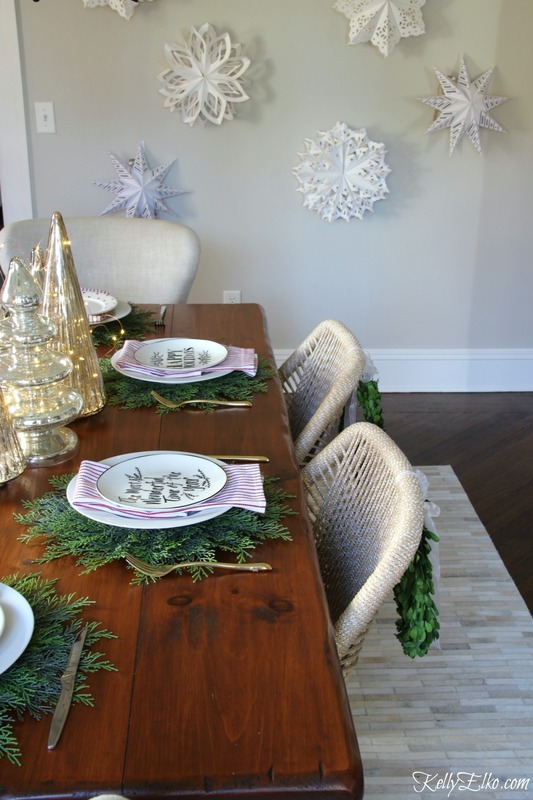 These cedar placemats make the table and I love them paired with my black and white plates. This is where the magic happens. 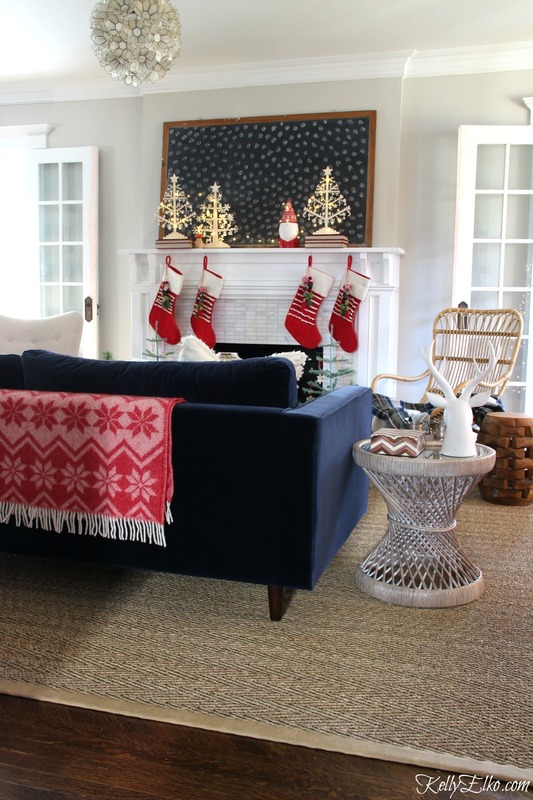 By magic, I mean this is where we binge watch the Hallmark Christmas channel while propping our feet on my favorite leather ottoman from Article. More fairy lights light up a jar of vintage Christmas bulbs. 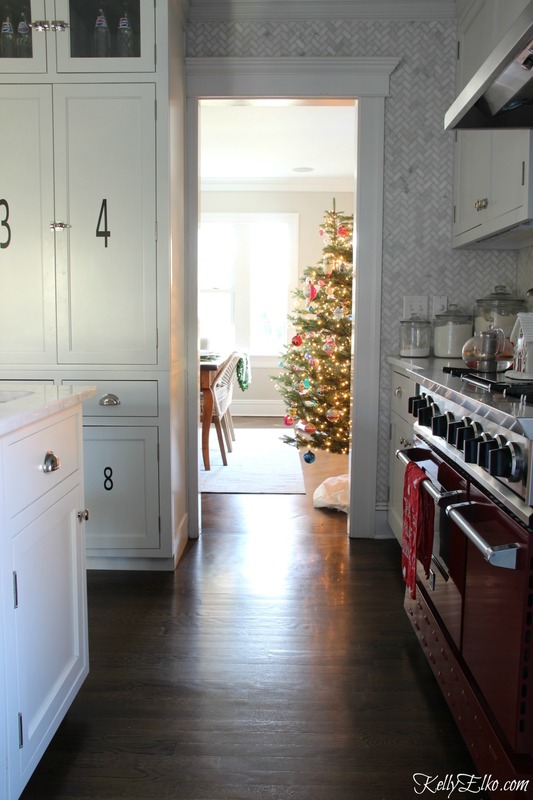 See more of my Christmas kitchen HERE. I’ll be back to share more of my Christmas home soon. 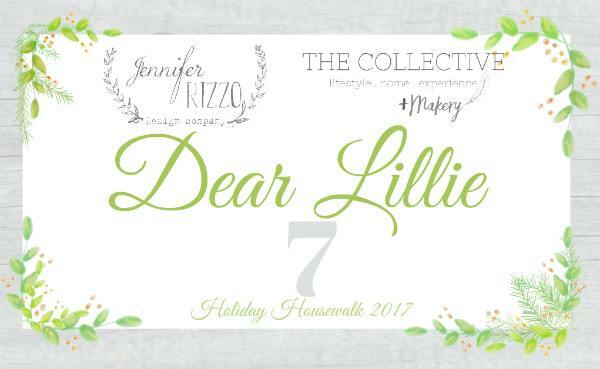 Next stop on the Holiday House Walk is Dear Lillie. « Previous: Best Black Friday Weekend Sales! Thanks so much Pat and I hope you have a very merry Christmas! Love it all and the squirrel is darling! Thank you Annette and hope you and your family have a happy holiday season! 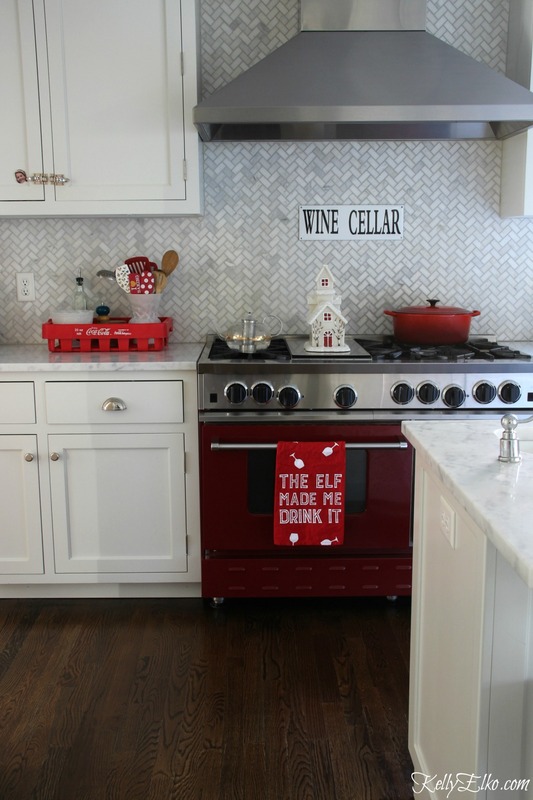 love the holiday vibe in your gorgeous home this year. 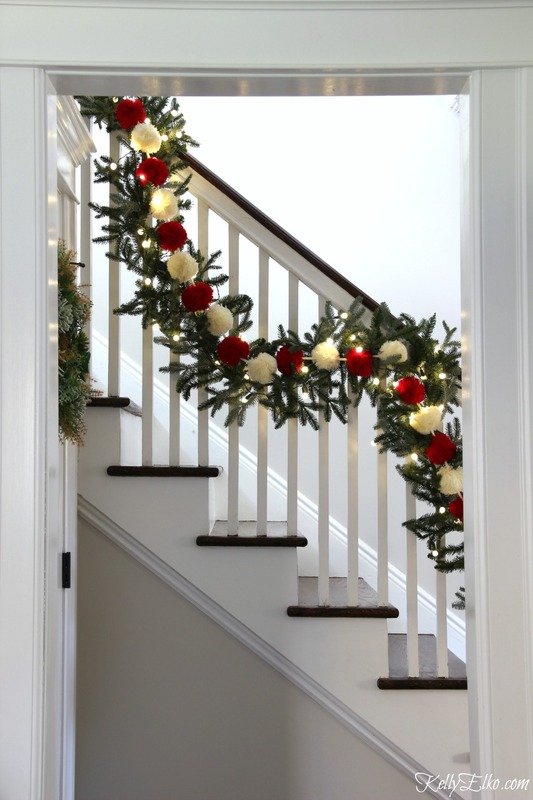 i can’t get enough of the pom poms on your banister. I’m with the girls….get those ornaments out! LOL – I think I’ll let them handle the tree decorations this year, I need a nap! It’s beautiful and fun and nostalgic and wonderful. Good job! Thanks so much Lisa and wishing you a very merry Christmas! Kelly, you always have such a whimsical and beautiful Christmas home. I would love to spend the holiday at your house – it’s the perfect gathering place. Two trees in the dining room? Love it! All your details – like the letter to Santa in the typewriter – are so charming and creative. Thanks for another beautiful and fun tour. I know I’m always going to see something different in your holiday tour. Come on over Jennifer I’ll have the wine chilling! Wonderful! Crisp and festive. 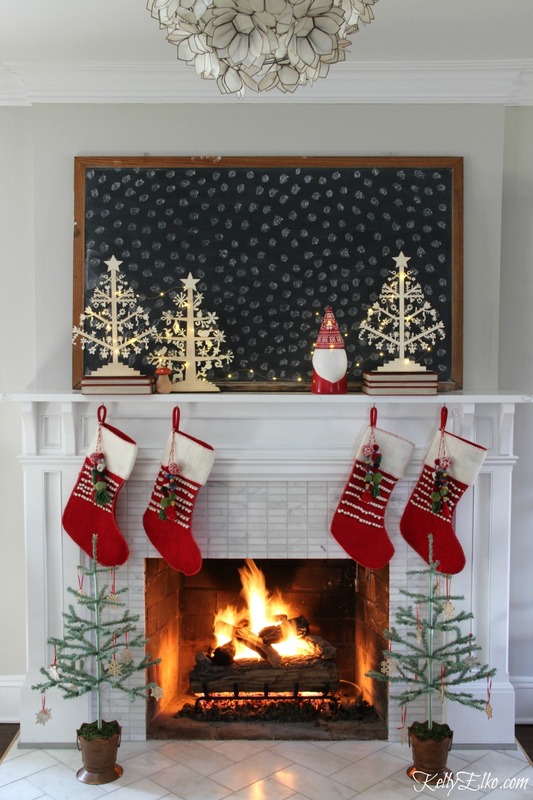 How did you make the framed black backing on the mantel? Thank you. Thanks Kelly! That is a vintage chalkboard I got for free at a garage sale! Oh my gosh, where do I begin? 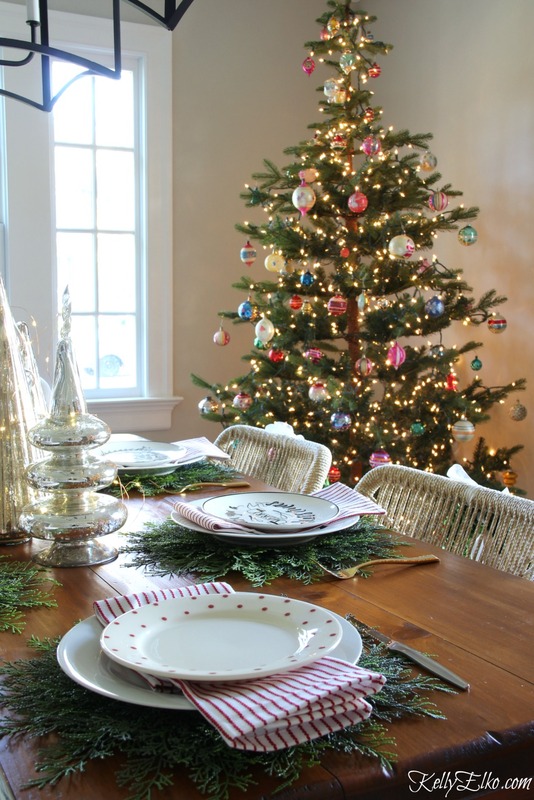 I am in love with your dining room – those trees and vintage ornaments, the table settings – wow, I love every bit of it. 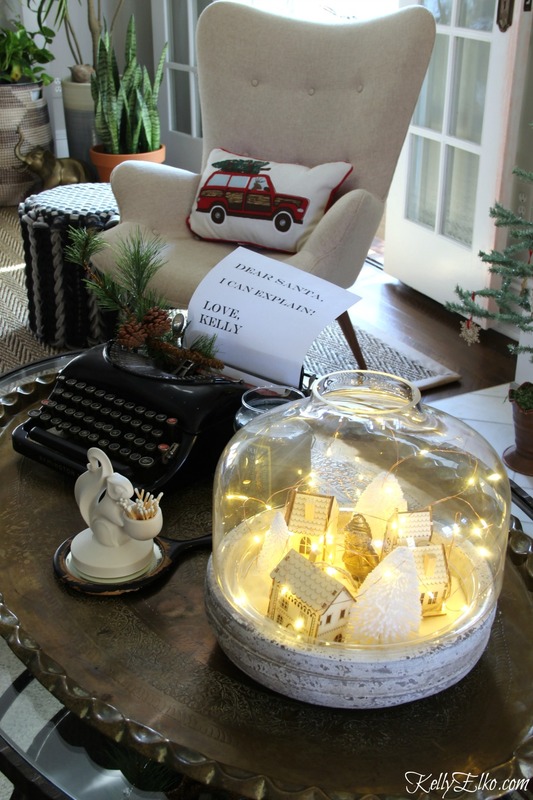 All of your charming details – letter in the typewriter, fairy lights under cloches, trees in measuring cups, just make your home absolutely delightful for Christmas! Wow thanks so much Liz! I had fun decorating but now I need a nap! I never know what to expect but, its always so wonderful and magical. I never know what to expect myself Marlene! Hope you and your family have a very Merry Christmas! Your fireplace/mantel is so perfect. 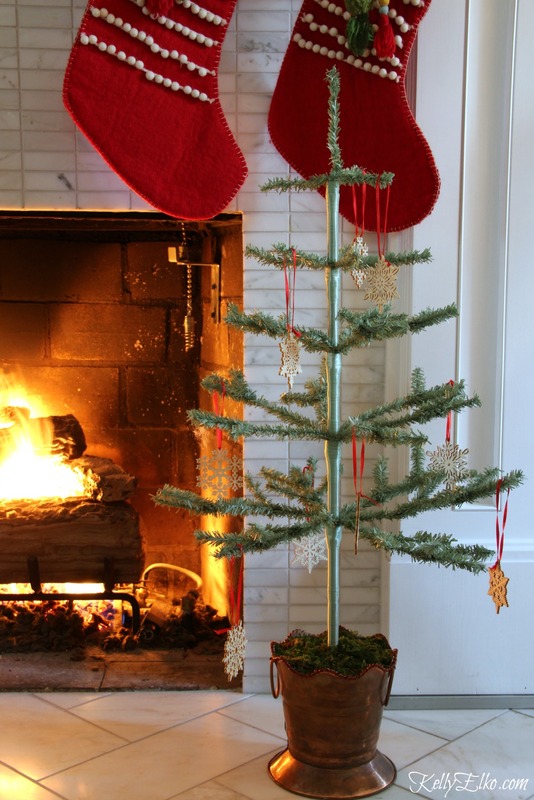 Love the stockings and the cute wooden trees, and I’m so jealous of that fire! Beautiful tour! Thanks so much Rachel – I do love sitting by that fire! Wishing you the merriest of Christmases! 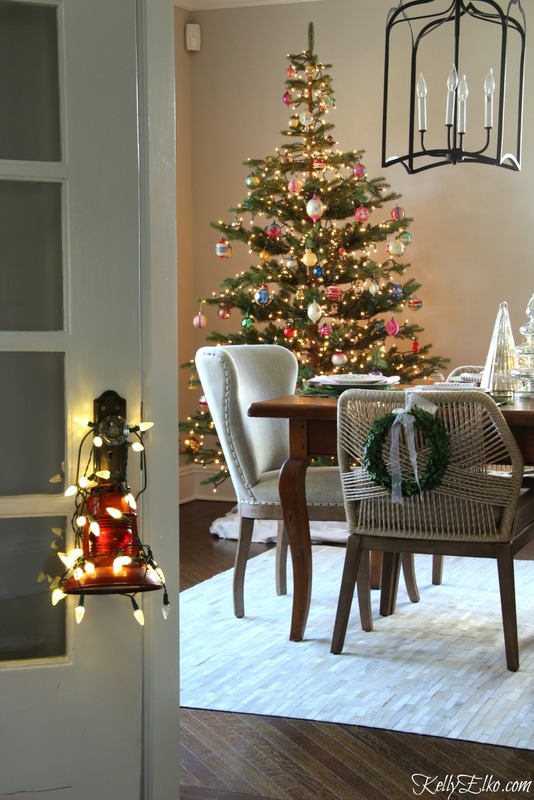 Love it all…but your dining room decked out in all its Christmas finery is my favorite! Thanks Teresa – now I just need to cook something so we can eat in there! Looks fabulous! My boxes have made it out of the attic and into the garage – progress! My house gets cleaned tomorrow (spoiled!) and THEN I’ll decorate. I bought two of those gnomes thanks to you! – one for me and one for my sister. Oh how fun Dawn – I love that little gnome and hope you and your sis enjoy yours too! Thanks Kristy – now I need a glass of two of wine – cheers! Thanks my friend and hope you and your family have a very Merry Christmas! 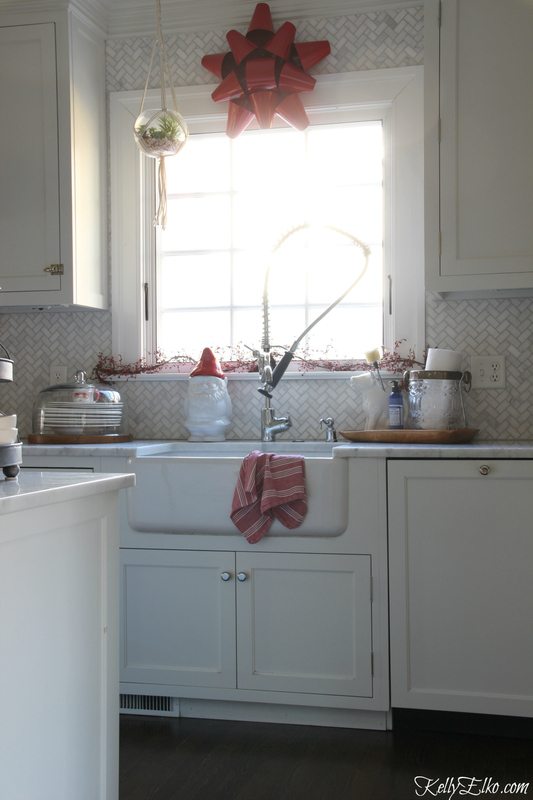 I’m always inspired by your home tours and your creativity. I love it all! Merry Christmas! Thanks so much Angela and Merry Christmas! I absolutely love, love, love all three of your trees! The two with the Shiny Brites are stunning! 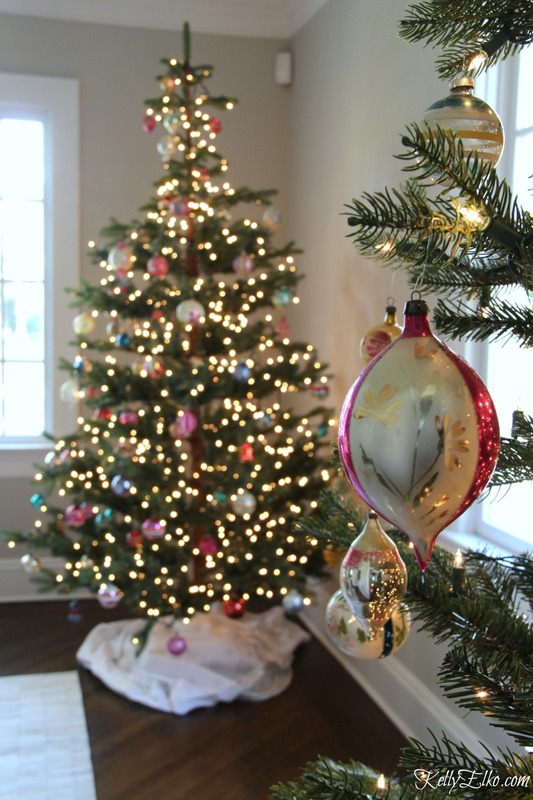 And, the other with the simple pom pom garland really shows off the beauty of the tree! Happy Christmas to you, Kelly! Wishing you the merriest of Christmases Doreen! 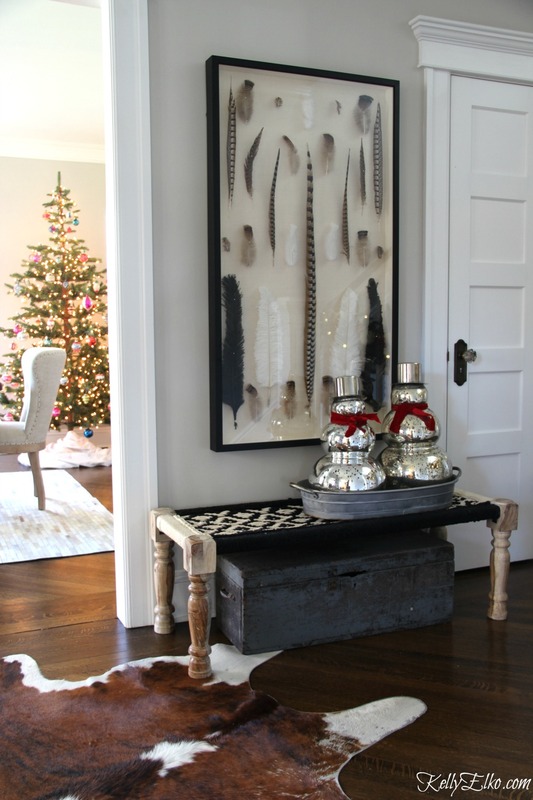 Your Christmas decor is so lovely, Kelly…I am in love with your whimsical mantel! Thank you for sharing! Thanks so much Linda and I hope you and your family have a wonderful Christmas! Thank you Lucy! You know us bloggers like our Christmas trees! Kelley, I look forward to this tour every year and this year did not disappoint one bit! 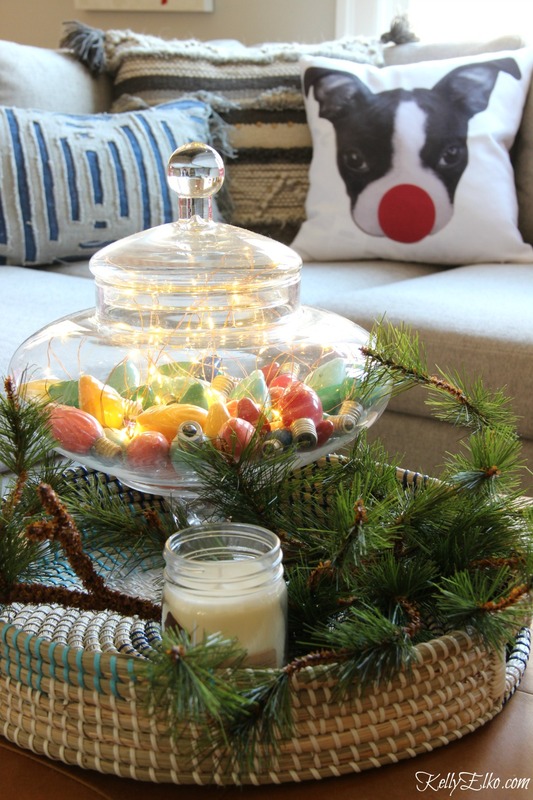 Your colorful Christmas decor and mix of old new really speaks to me! Everything looks gorgeous! You’re too kind Louisa! Wishing you and your family a very Merry Christmas! You are killing me with the double trees in the dining room. I love seeing your home tours!!! Love your style ! Happy Holidays! Thanks so much Deedee and wishing you a very Merry Christmas! Love it all, Kelly – as usual! The Shiny Brite trees are just perfect! But where is Sushi’s stocking this year? She’s been a good girl! Don’t worry, her stocking is hung by the Christmas tree! I’ll be sharing more pics soon! 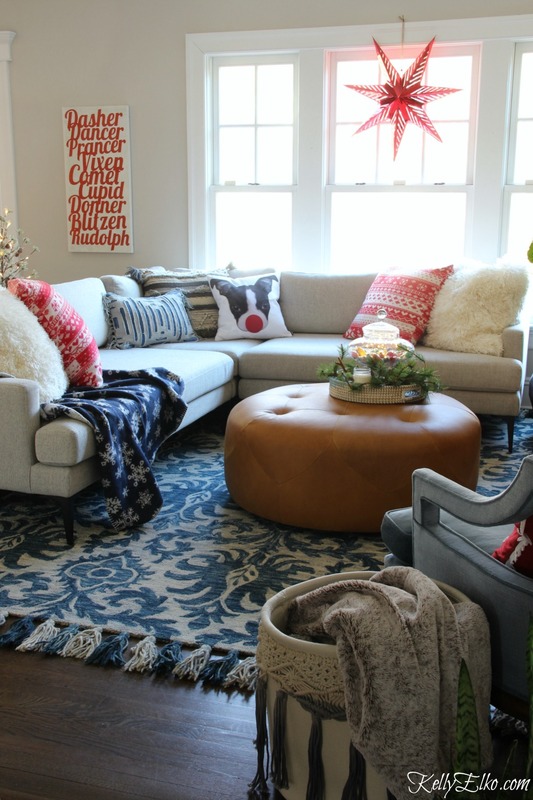 I adore all of the pom poms and the fun holiday touches!! Thank you so much for being a part of the tour! Thanks Jen – thanks for letting me be part of this amazing tour once again and Merry Christmas! Well you did simple its justice, i love it all. 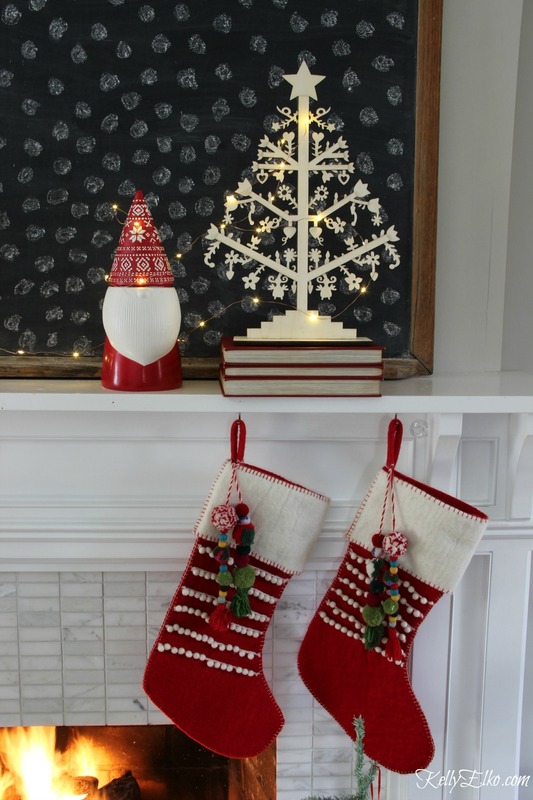 Must have the white tree skirt, the pom poms!!! !, and the silver snowmen. Please. And my daughter collects gnomes. Right now all I’ve got to trade are tickets to Disney World for tomorrow, but you could also buy a small island with the price of those. Since I just got back from Universal, I think I’m Florida-ed out! But enjoy a Mickey shaped ice cream for me!! Love the Christmas trees in the dining room. The link isn’t working for some reason, can you just let me know which store and I’ll search for it? Thanks!! Love the tour! 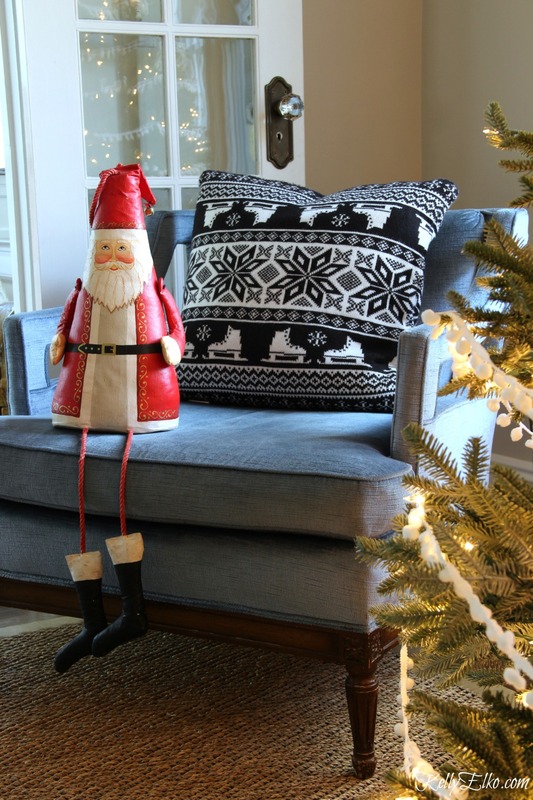 Time and time again, your home is filled with inspiration for my cute Christmas decorations! 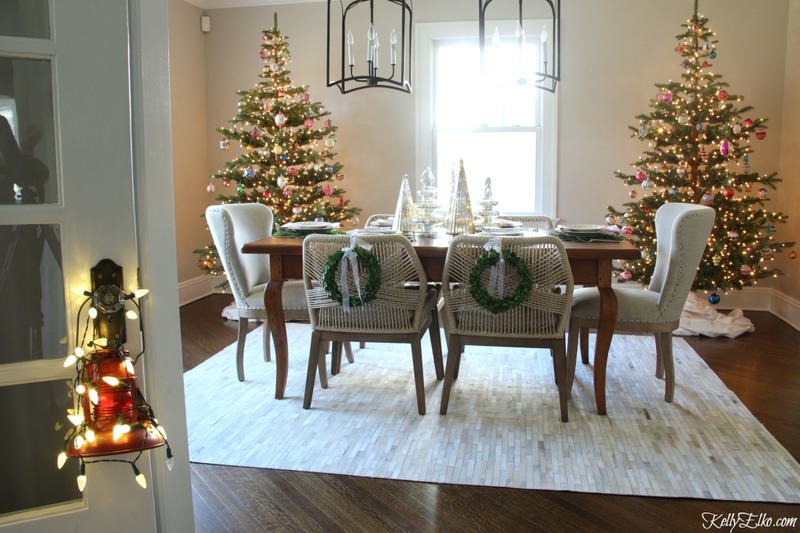 Love it all Kelly and I agree your dining room is just fantastic this year! 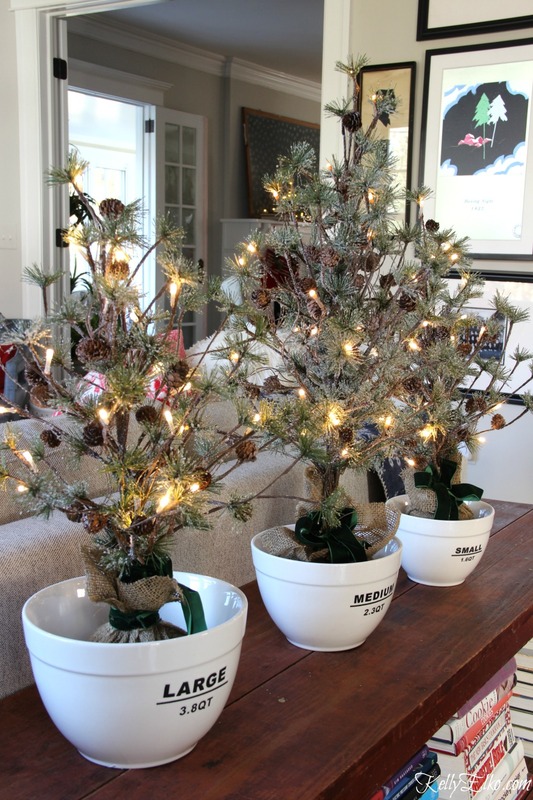 Love all the details and the simplicity of your trees too! So laid-back this year without compromising style! Thanks Vel – now to get rid of the 100 Christmas bins in my basement! 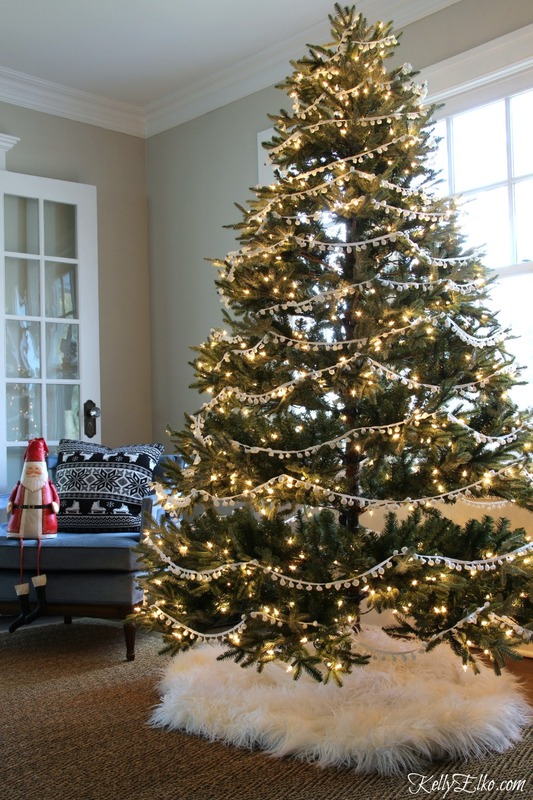 I love your white lights and pom pom ribbon tree, it’s so magical in its thoughtful simplicity. I have been having the very same weary feelings about not wanting to carry the huge bins of ornaments upstairs! I’d love to do something like your tree, but I would NEVER get away with it; my husband loves Christmas decorations more than a 5-year-old. 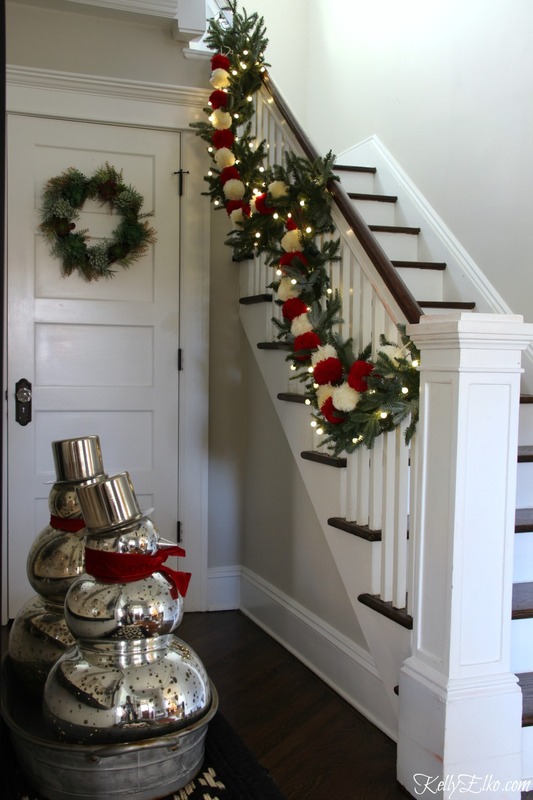 Your red and white pom pom garland is perfect with all of your other red, white and shiny decor. 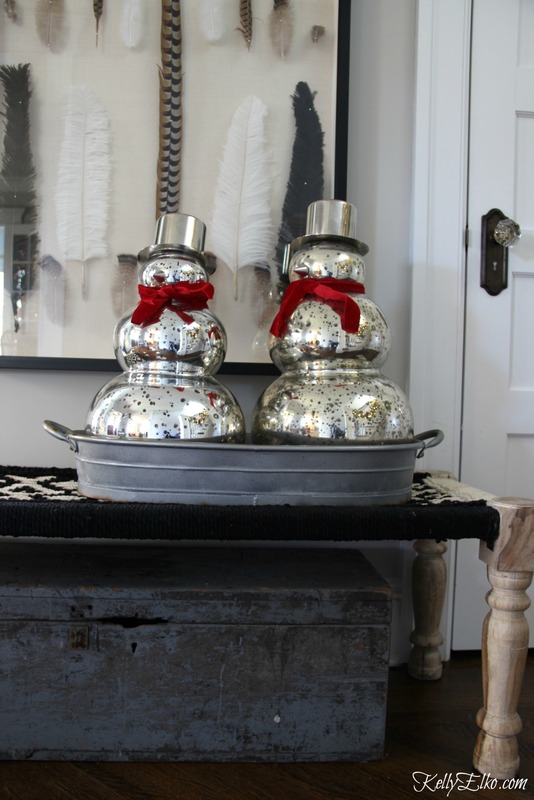 Those two silver snowmen are CHARMING! Thank you Judy! My daughter is insisting we add ornaments to the tree so I will be lugging a few more bins up! Merry Christmas! Oh my, fabulous, yet comfy! Your home is beautiful. What paint color is used in the foyer. Hands down, my favorite Christmas tour this year. Everything is absolutely beautiful. I’m dying over the dining room trees. Love it Kelly! And I must have that little wooden Christmas tree on your mantel. Aren’t they the cutest! Merry Christmas Julia! Once again I love your holiday decor! 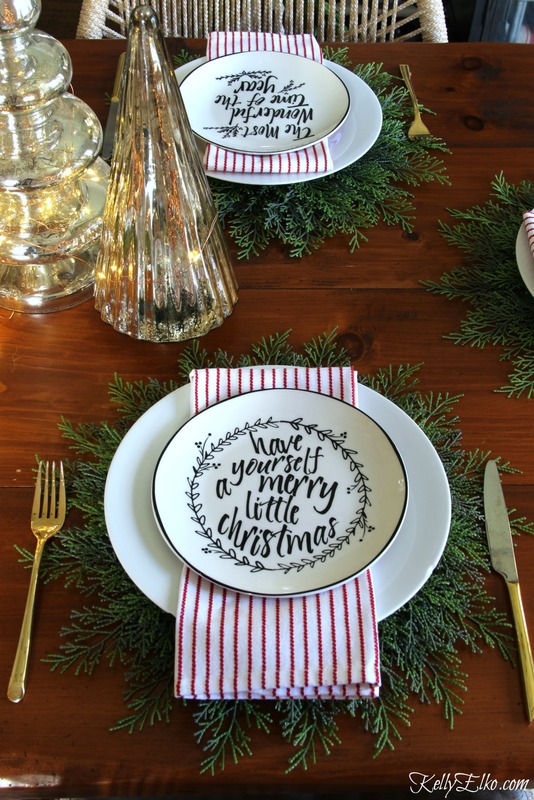 I purchased the faux greenery place mats last year after seeing them on your holiday table. Love them! Would you mind sharing the paint color in your living room? Our house was built in 1895 and it would be perfect in our living room. Hi Mary – the paint is Sherwin Williams Agreeable Gray. 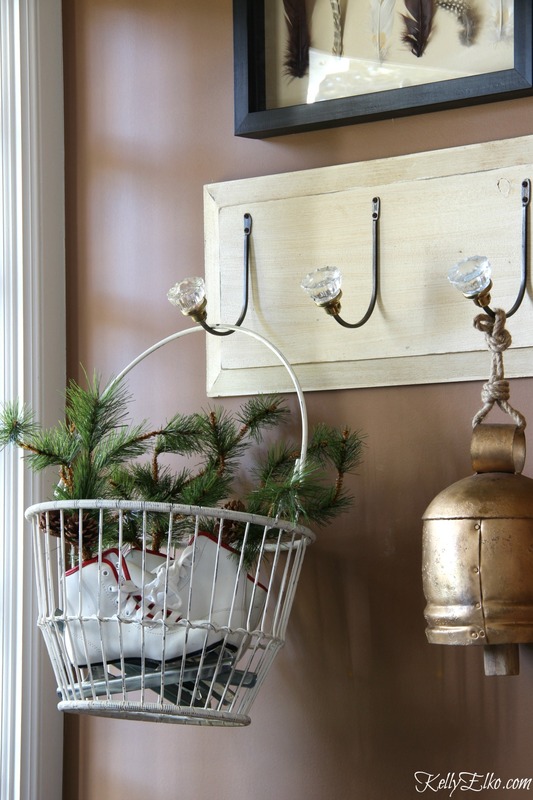 Try a sample first as paint looks different in every space. Good luck!